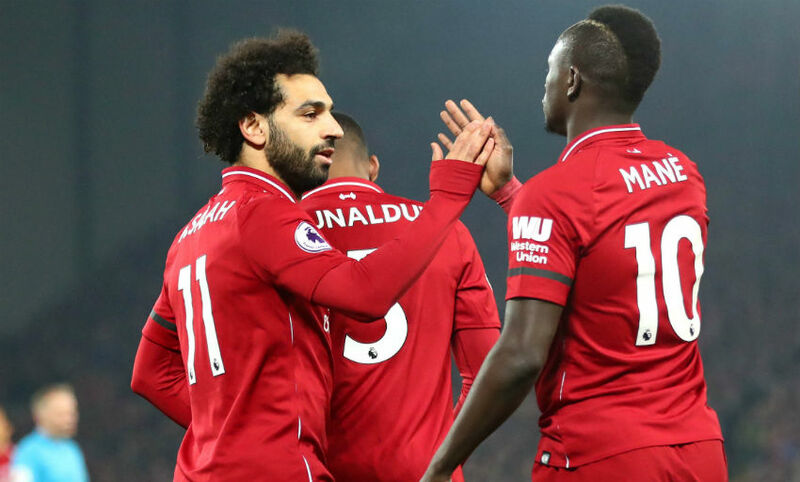 Liverpool maintained their one-point lead at the top of the Premier League with a brilliant 5-0 win over Watford at Anfield. Sadio Mane and Virgil van Dijk both scored twice, with Divock Origi also on the mark for the Reds. Understandably, the boss was a happy man during his post-match press conference. 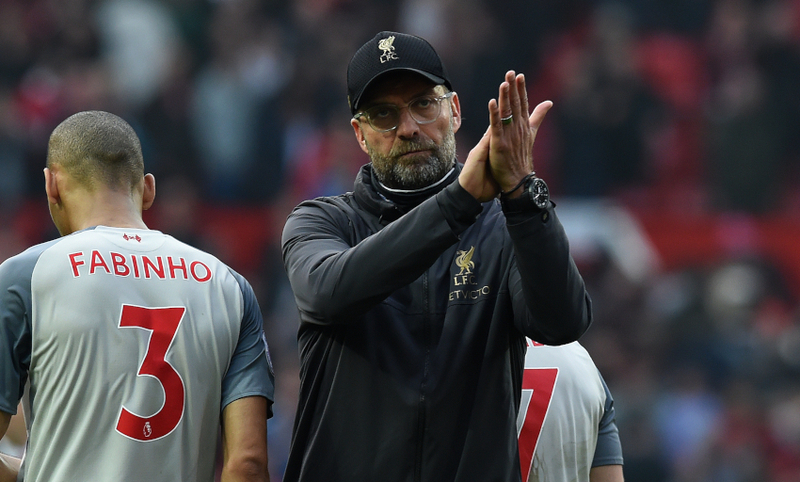 As well as analysing his side's all-round performance, Klopp also appraised other topics including Mane's display at centre-forward, Van Dijk's double and the title race. That's how Virgil van Dijk described his late brace post-match. “It was a great performance overall, we dominated and had a lot of great possession,” Van Dijk told Sky Sports. Now Jürgen Klopp is speaking to the media. "It was exactly the game we wanted. When you win 5-0 and you have to say your centre-halves had to play outstandingly defensively and your goalkeeper has to make two outstanding saves, that shows the quality of the opponent," says the boss. "The rest was exceptional. It was a really fantastic football game and I am really happy for the boys because they deserve it so much. "It's a very good example of how football should look - let's do it again and again." "We knew it would be a very demanding game," he says. "After conceding the first goal it was very difficult for us to compete. They dominated the game, I think they played really well and deserved the victory they got." Well, that was pretty emphatic. 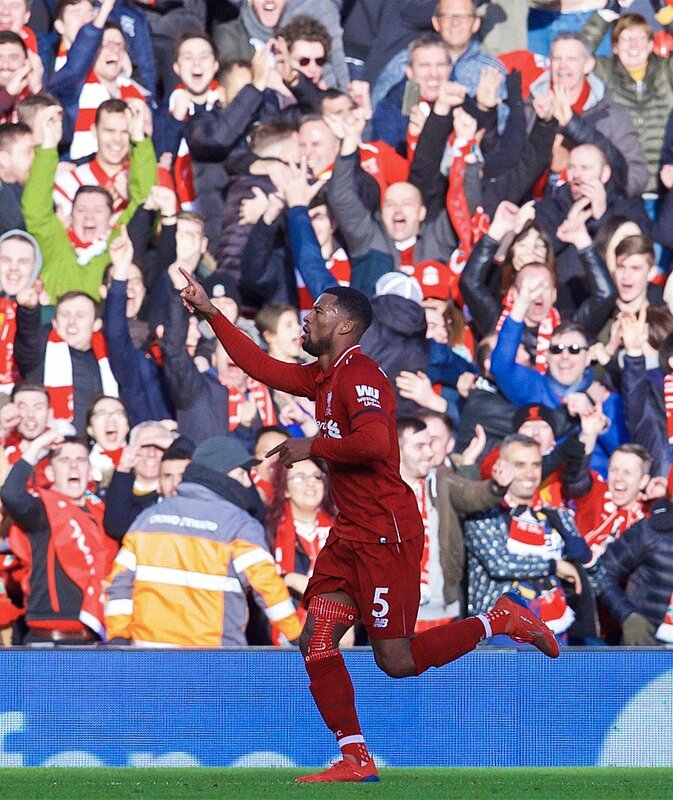 A quite brilliant all-round performance leads to a thumping 5-0 win for Liverpool, who retain their one-point lead at the top of the table. 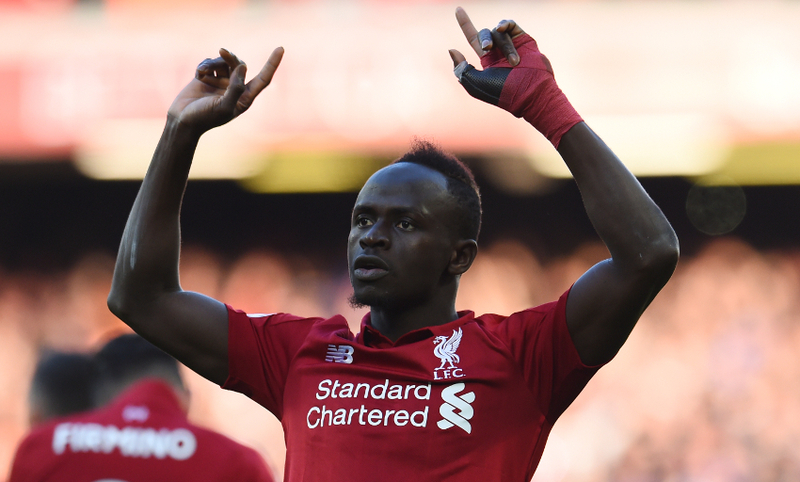 Sadio Mane struck twice in the first 20 minutes to get the Reds up and running in style, and the game was effectively ended as a contest when Divock Origi rammed in a third midway through the second half. 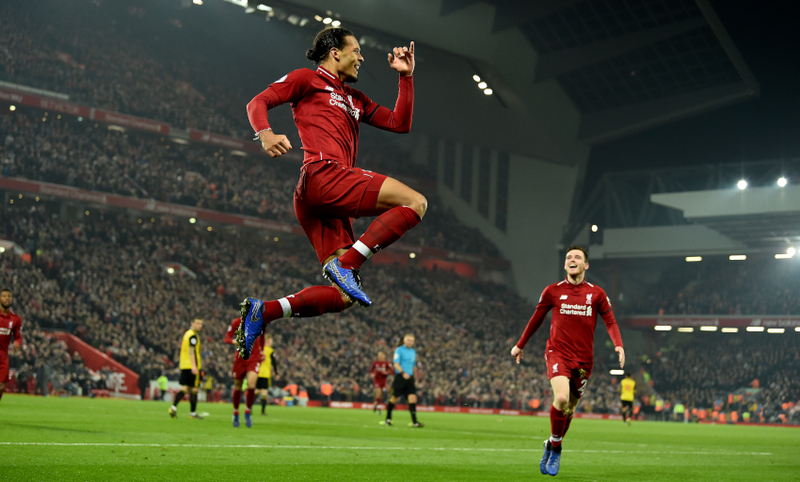 Virgil van Dijk then got in on the act with two fine late headers to apply the gloss to an excellent evening’s work for the Premier League leaders. 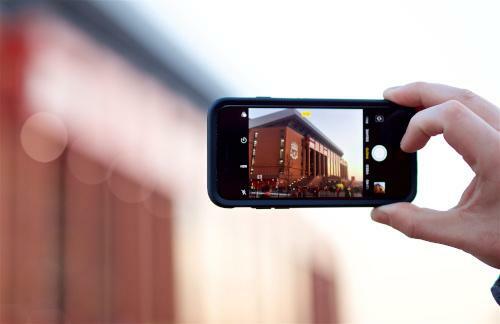 Stick with us for all the post-match reaction from Anfield. Keita replaces Wijnaldum for the Reds' third and final change. This time Robertson produces a wonderful cross and the big man is there again to guide in his second headed goal in the space of a few minutes. And there's number four, from our No.4! Another sensational cross from Alexander-Arnold, this time from a dead ball, and the big man powers in with his head. A second sub for the Reds, with Lallana replacing two-goal Mane. Gray is denied by Alisson again, as the striker's volley is deflected over by Liverpool's 'keeper. Watford sub Gray gets in down the right and shoots low across goal, but Alisson gets down well to palm it away. A first change for the Reds, as Henderson comes on for Milner. Superb from Origi, who cuts in from the left and into the box before rifling a powerful, low shot past Foster at his near post. Mane goes close to his hat-trick! Cathcart's last-ditch challenge diverts the forward's goalbound shot from close range over the bar and, a few moments later, Wijnaldum curls an attempt from 20 yards into Foster's arms. Excellent defending again from Matip, who gets his head on a free-kick from deep then blocks a powerful shot on the follow-up. Then, quick as a flash, Robertson bursts up-field and Origi has two shots from the edge of the box, both of which are blocked. The Reds have started this half on the front foot, too. Robertson goes close from Origi's cross before Salah skates past Masina and forces Foster to turn his attempted ball in behind for a corner. No changes for either side at the break. There's the half-time whistle, and Liverpool take a commanding 2-0 lead into the break. 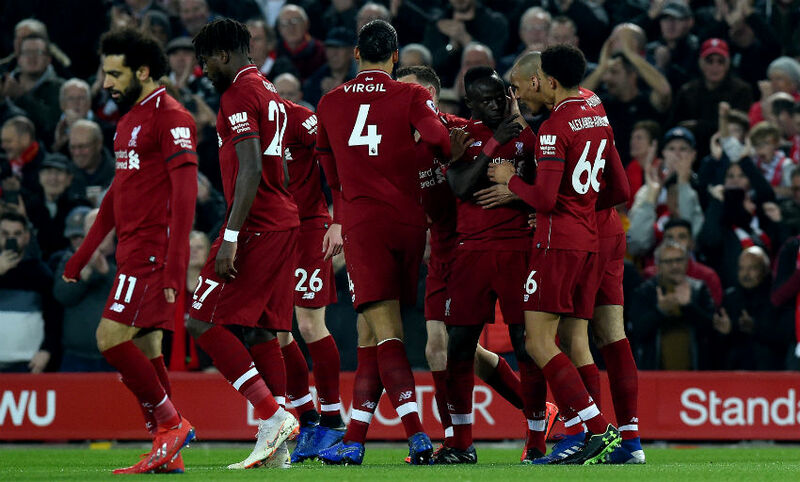 The Reds came out with serious attacking intent from the first whistle, and Mane's clinical double inside the opening 20 minutes meant their adventure was rewarded handsomely. Salah, irrepressible down the right, also hit the post in a half dominated by the home team. Salah clips a gorgeous first-time pass into Robertson on the byline, but the left-back's volleyed cross-shot goes wide. This time the visitors' No.9 gets free and tries to flick Deulofeu's low ball into the net, but his effort goes wide. 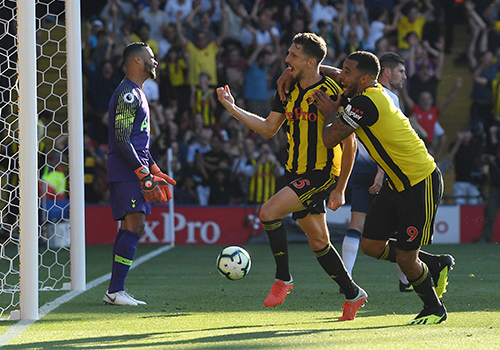 Deulofeu gets a low cross in from the right, but the big centre-back is alert and slides in ahead of Deeney to prevent Watford's captain from pulling one back. Mo bustles his way through down the right and shoots from a tight angle, with Foster getting a touch to divert it onto the woodwork. It's fair to say Salah is in the mood tonight. Watford simply can't contain him down the right at the moment, and Foster gathers well after he'd cut inside and drilled a shot on target from 20 yards. 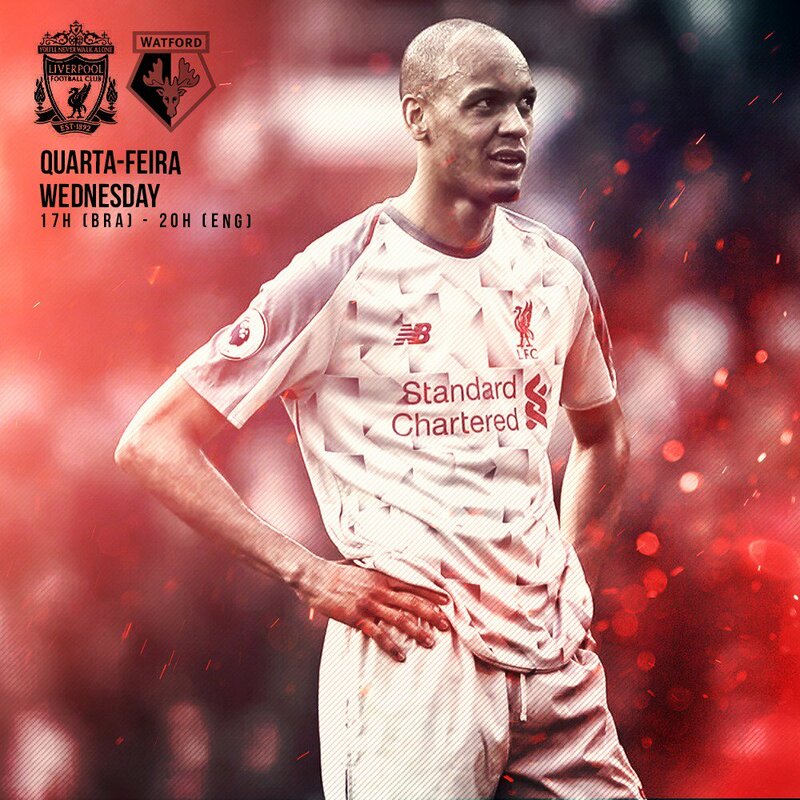 That came shortly after Fabinho had sprinted back to dispossess Deulofeu and extinguish a Watford counter to roars of approval around Anfield. Our No.10 takes a touch to control another Alexander-Arnold cross, but the ball ends up behind him. So, impudent as you like, he produces a chipped, backheeled finish over the onrushing Foster and into the net. The decibel level has gone up a notch or two since that goal, and the Reds have responded in kind on the pitch. Alexander-Arnold nicks the ball back and surges down the right, is fiund by a great pass by Salah and looks to stand a cross up which Foster gathers. In a move not dissimilar to his opener against Bournemouth a couple of weeks back, Mane finds a yard in the penalty area and heads home a fine cross from the right with aplomb. It's been pretty even in the early stages here, with both teams seemingly feeling each other out. Neither goalkeeper has had to make a save as yet. 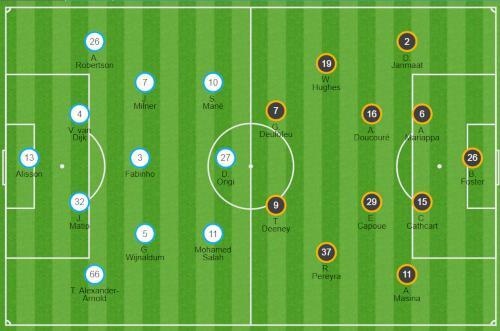 In terms of formation, it looks like it's 4-3-3 for Liverpool tonight. Origi has started on the left of the front three, with Mane central and Salah on the right. 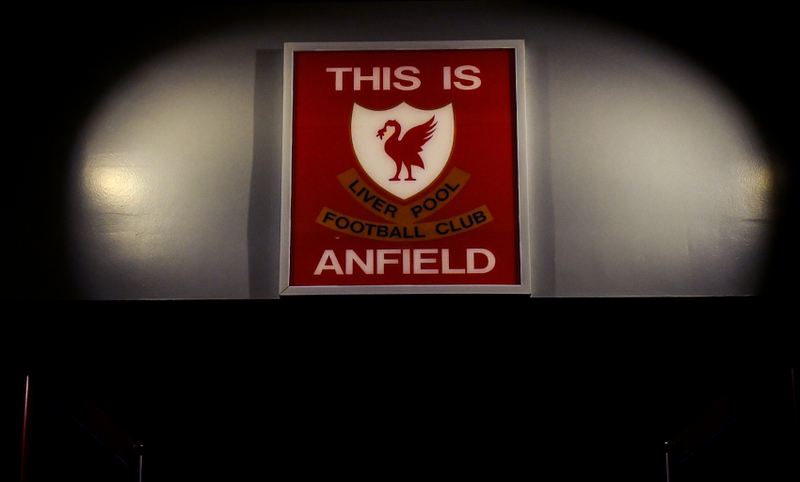 An early high press from Milner on Ben Foster draws huge applause amid a loud, partisan atmosphere here at Anfield. Mo Salah gets us under way. The teams are in the tunnel and the atmosphere is building nicely. Kick-off is just a few minutes away. The boss has spoken about his decision to bring Origi in for Firmino this evening. "It makes sense. Div deserves it, like all the others we could have chosen would have deserved it because the training attitude is brilliant," he said. "It's not good, of course, that Bobby isn't available, but it's always nice to give somebody else the next chance. That's Div now; he has trained really well. "That's good for us, a good option for us. It changes a little bit the game, because Bobby is a very decisive and demanding player for us. We will see how that works out." 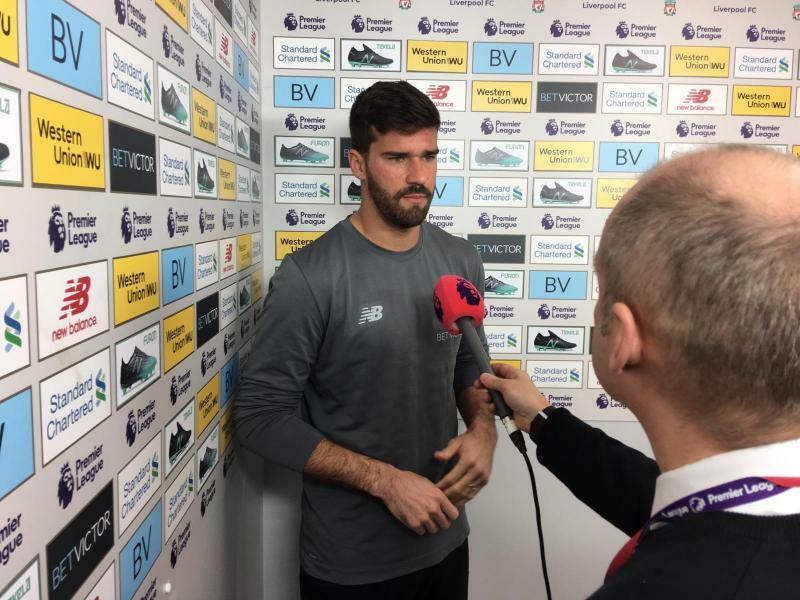 Alisson Becker handles pre-match media obligations at Anfield tonight. 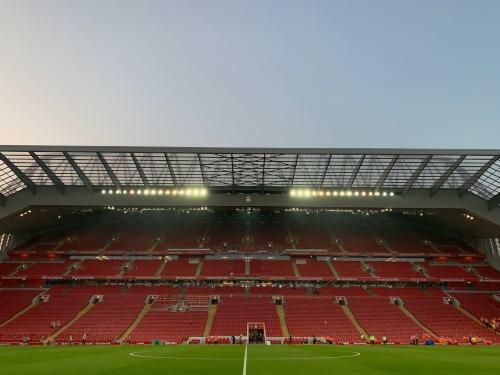 Two changes for Liverpool tonight that see Divock Origi and Trent Alexander-Arnold replace the injured Roberto Firmino as well as Jordan Henderson in the starting line-up. 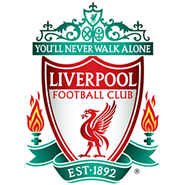 Liverpool: Alisson, Alexander-Arnold, Matip, Van Dijk, Robertson, Fabinho, Wijnaldum, Milner, Mane, Salah, Origi. Subs: Mignolet, Keita, Henderson, Sturridge, Lallana, Shaqiri, Camacho. It's like a mid-spring evening at Anfield. 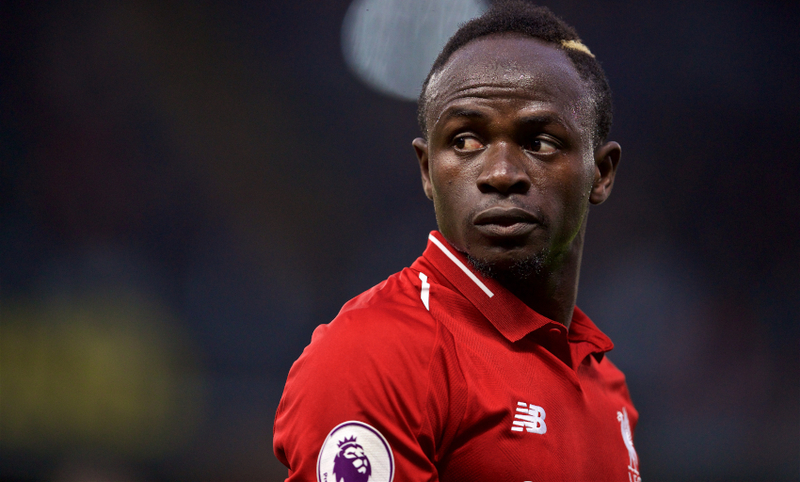 Liverpool have two recent lessons to learn from when they face Watford, according to Sadio Mane, who, speaking in the official matchday programme, explained how the 1-1 draws with Leicester City and West Ham United show the tough nature of every Premier League tie. "Sometimes these games can be more difficult than the big games so we have to be ready for every different opponent," the Senegal international said. "We know how hard these kind of games can be so we need to be careful. We dropped a few points against Leicester and West Ham so this is a good example for us when we play Watford." 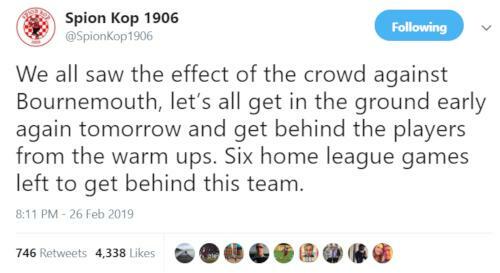 The crowd did indeed play its part in Liverpool's last home Premier League game. 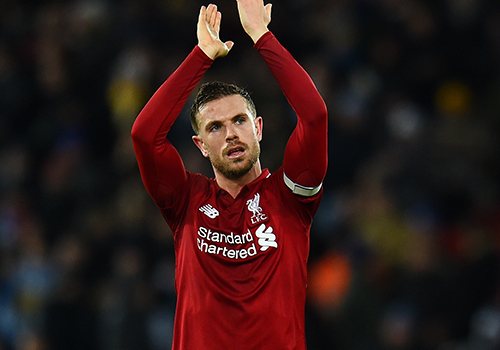 That's the message from Jordan Henderson as the final straight of 2018-19 - and Liverpool's pursuit of trophies - continues with the visit of Watford tonight. "These are the moments when being close-knit as a club can be invaluable. The games will come thick and fast and every game will feel like a cup final," writes the captain in his programme notes. "But find me someone who doesn't want to be involved in cup finals? They're the best occasions going. We have a chance to have that feeling every week from now until the end of the season. “Personally speaking, although I know I can speak for every player in our dressing room when I say this, we're absolutely loving it. It's something we are embracing. "'Bring it on' is our mentality and that goes for tonight as much as in any game between now and the season finishing." 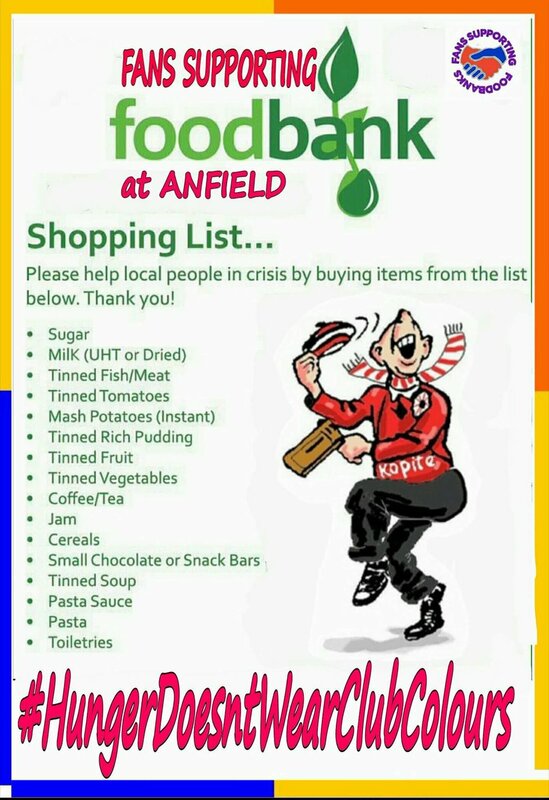 If you're heading to Anfield for tonight's match, you will be able to make foodbank donations at the usual three spots around the ground: the Fan Zone on Anfield Road, the official club store, and Homebaked. ... and it's a significant one. 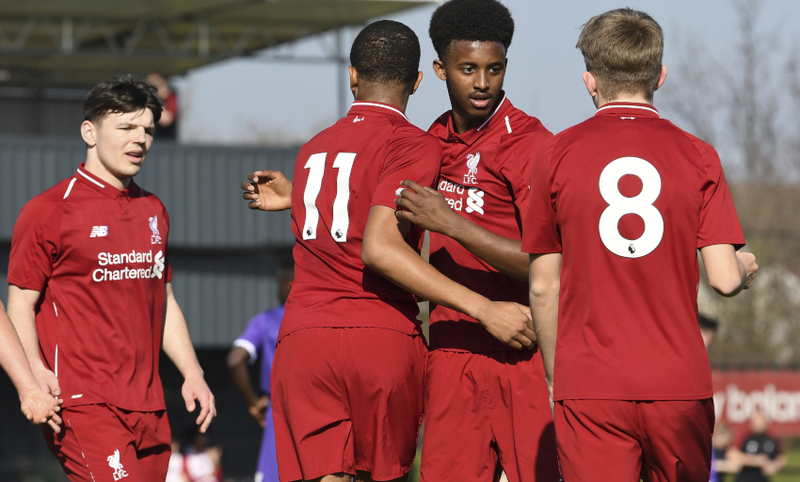 Liverpool U18s have beaten Stoke City 3-1 at the Academy this afternoon to go three points clear at the top of the table. Full match report to follow on Liverpoolfc.com. BetVictor's match prices for this game are as follows. Click here for more details and other markets. 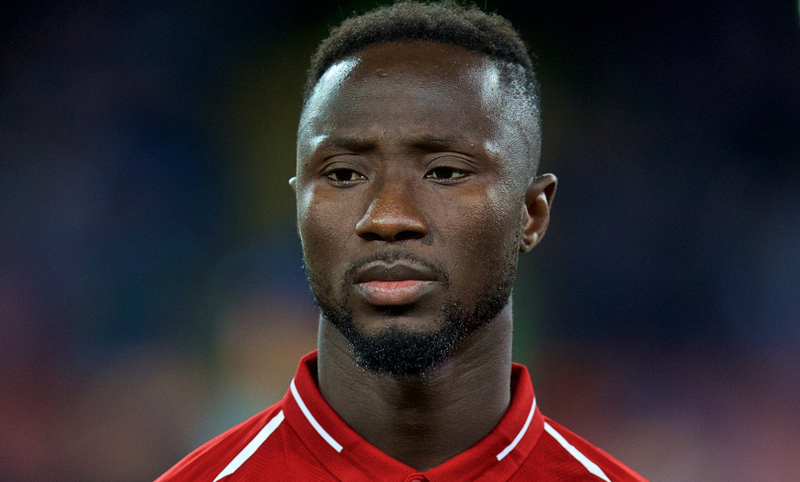 Naby Keita sat down with Liverpoolfc.com on Tuesday to talk Watford, his form, Fabinho and much more. "We really want to win something this year - the players, the manager, the fans, all the team," said the No.8. "We're going to get to work, there's not long to go. We've got another two or three months, we're going to be totally focused on the training sessions and matches." 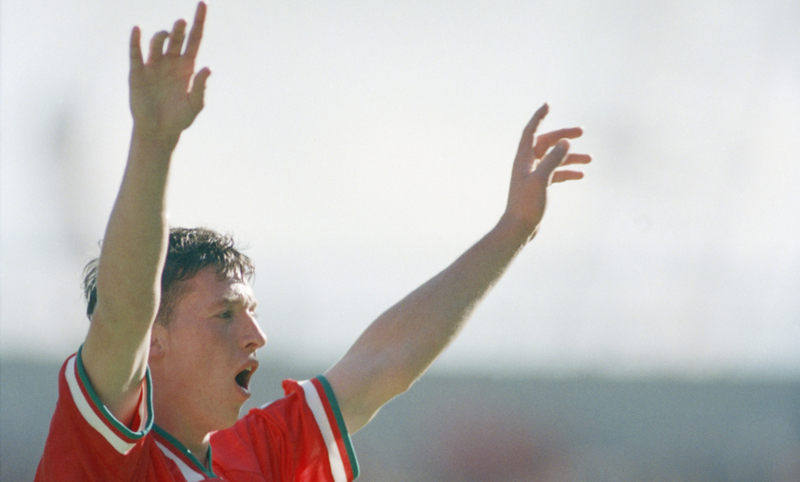 The last Liverpool player to score a league hat-trick at Anfield against the same team in successive seasons was Robbie Fowler, who did so against Arsenal in 1994-95 and 1995-96. In this fixture last season, it was all about Mohamed Salah. 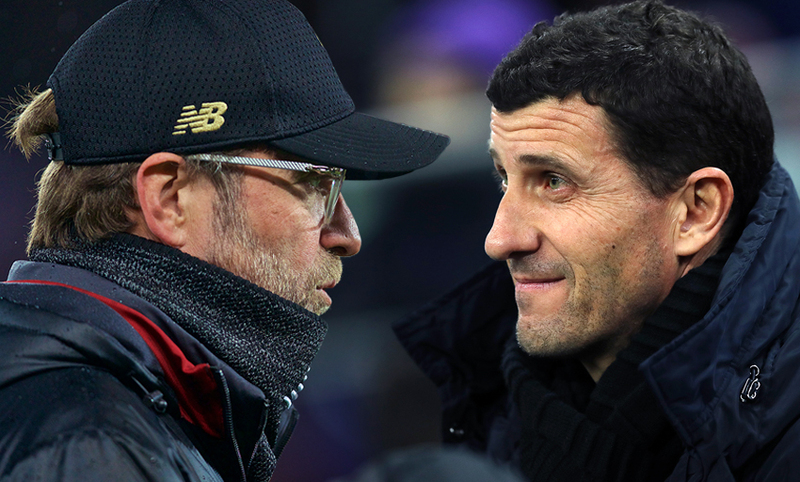 During his press conference Klopp analysed the danger Watford will pose at Anfield tonight, highlighting the way Gracia's side can change their approach dependent on the opposition. "Watford are a difficult one, of course. They are on a good run and they play different styles of football," he said. "We made the analysis; against the top six they don't have a lot of possession but they are a proper counter-attacking threat, good around set-pieces, good around second balls, deep defending. When they play other teams they are much more proactive. "We need to be ready for both but we will probably have the ball for some time in the game and we need to do something with that, of course. It's a difficult Premier League game against a good side." Here it is, bright and early - the Liverpoolfc.com matchday blog weather update™. 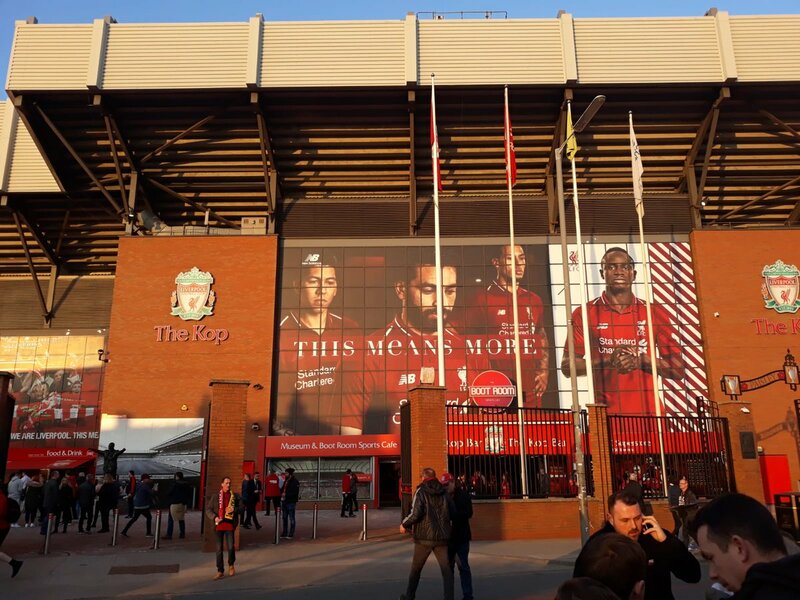 It's an unseasonably clear and crisp day in the Anfield area so far, with temperatures hovering around 12 degrees at present. The forecasters say that will drop to around eight by kick-off, so take the necessary precautions if you're heading to the stadium later. 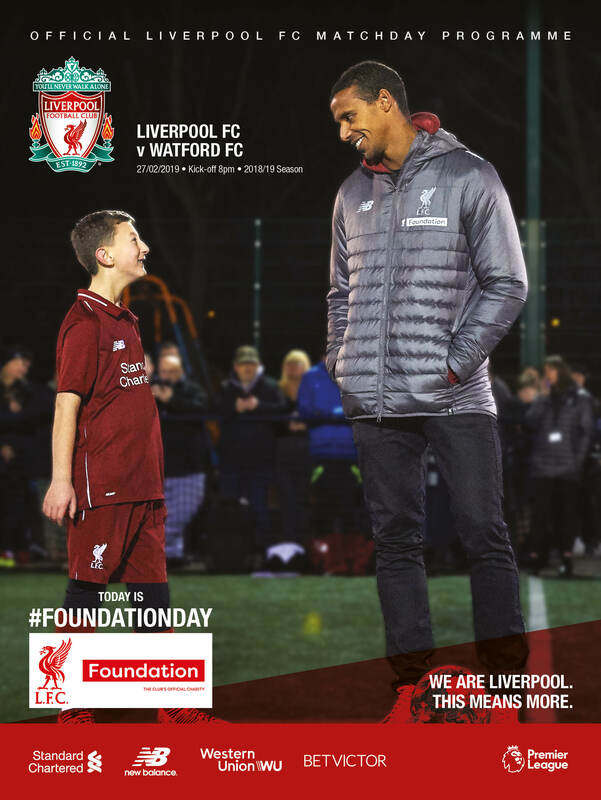 Talking of the matchday programme, today's cover is a little bit different - it features 11-year-old LFC Foundation programme participant Luis White and Reds defender Joel Matip, as this fixture celebrates the annual LFC Foundation Day. The boss' words in the official matchday programme make for very interesting reading, including a tribute to Reds fans' defiance - they're available here. 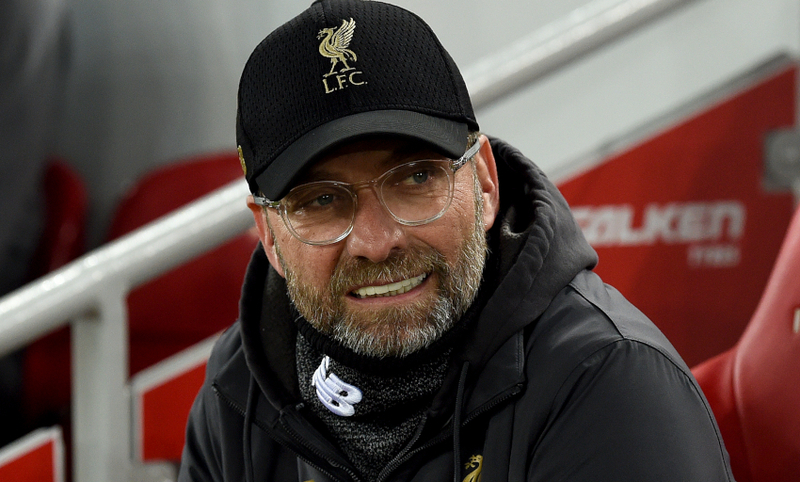 Speaking about tonight's fixture specifically, he says: "Nobody takes points from Liverpool now unless they are prepared to prise it from our clenched fist - and I haven't seen many this season that can beat us when it comes to will and desire. "Our core values remain - which is that we are a team built on positivity and attacking intent. It flows through our veins. We approach games also with the view of 'what can WE do today' - never 'what can we do to stop our opponent'. "We remain a side whose focus is always forward, but I only see positives in the fact we have solidity also. It's a combination that helps you be successful. The many qualities we have, as a team, will certainly be needed tonight if we are to get the outcome we want." What can we expect from the Hornets? 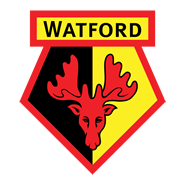 Well, we think we have the answer in our detailed view from the opposition, covering Watford's recent form, ambitions for the rest of the season, key players and likely line-up. Click here to read it. 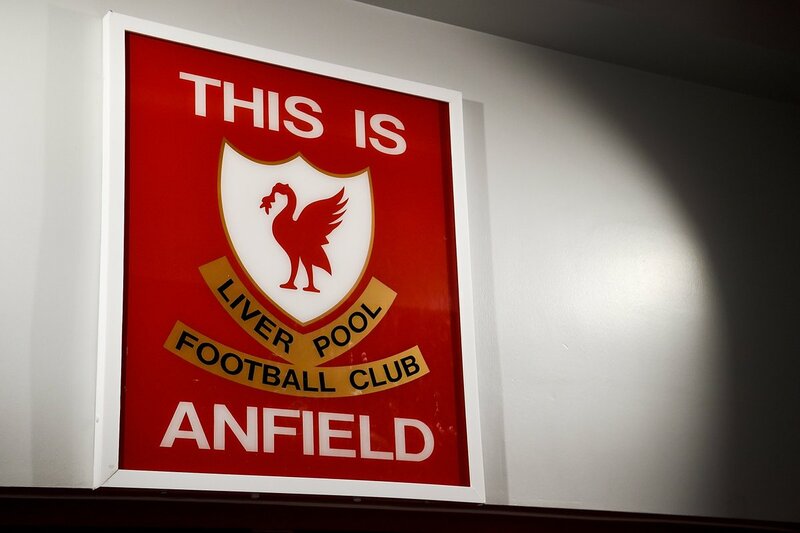 There's a long while to wait before confirmed teamsheets are submitted - until 7pm GMT, in fact - but we do know a little bit about who could be available at Anfield tonight. Roberto Firmino remains in contention for the Reds after the ankle injury he suffered on Sunday, and Naby Keita was due to return to training yesterday following illness. Dejan Lovren is still sidelined, however. 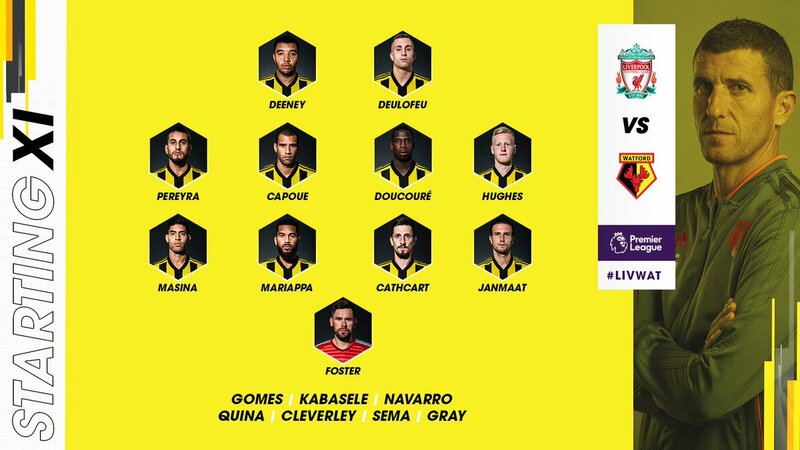 Watford have Jose Holebas suspended but Kiko Femenia is their only injury absence, with Javi Gracia having almost all of his options to choose from after a 5-1 win at Cardiff City last time out. Liverpool's point at Old Trafford moved them above Manchester City with both sides having 11 matches left to play in the Premier League this term. Tottenham Hotspur, meanwhile, are now six points behind in third. 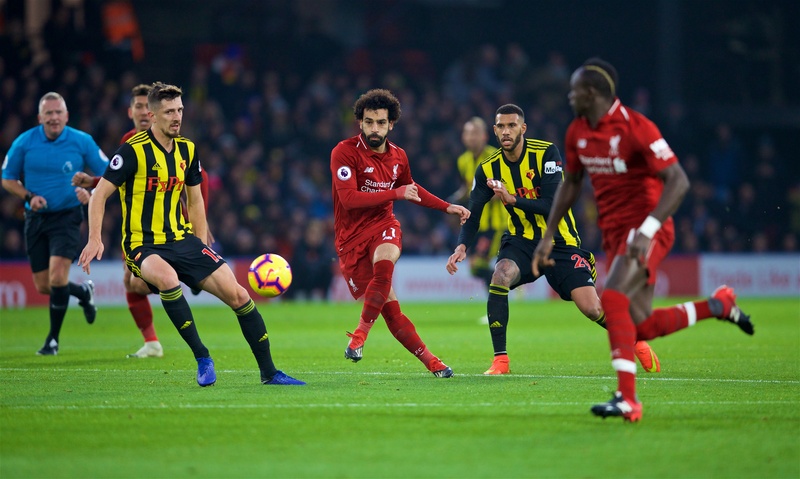 Liverpool's second of three Premier League matches in a week sees Watford visit Anfield for an 8pm GMT kick-off, with Jürgen Klopp's men aiming to consolidate their lead in the division. Stick with us for all the build-up before we provide live updates during the game from the stadium and post-match reaction.